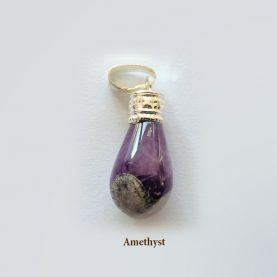 Description: Amethyst: Helps to meditate better, and brings tremendous peace and calm. Amazonite: It soothes the nerves and dispels irritating and negative energy. 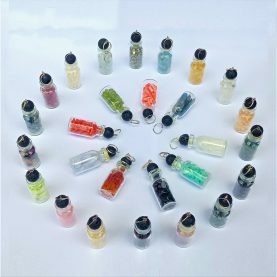 Aquamarine: It helps enhance one’s ability for rapid intellectual response. 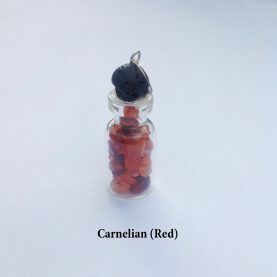 Azurite: Helps in releasing stress, confusion, worry, indecision, restoring emotional balance and controlling reactions Carnelian: Stimulates mental focus, analytical capabilities, and precision. Citrine: Helps to draw abundance of every kind (health, love, joy, prosperity). Clear Quartz: Helps to intensify your awakening process. Fluorite: It helps to transmuting negative energy into positive energy. Garnet: It helps in bringing expansiveness in awareness and manifestation. Green Aventurine: Helps to increasing optimism, and calming anxiety and fears. 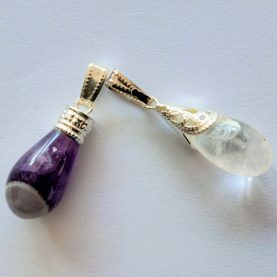 Himalayan Quartz: Helps in attuning to your higher consciousness. 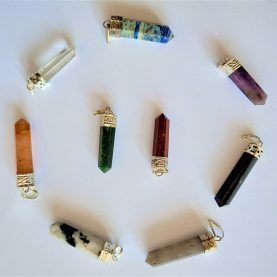 Jasper: Gives courage to face unpleasant tasks and to rectify unjust situations. Kyanite: Dispels anger and frustration, facilitates clarity with respect to mental awareness. Labradorite: Strengthens your intuition and inner sight. Lapis Lazuli: Promotes self-awareness, and helps you attune with your intuitive self. Malachite: Facilitates insights concerning cause of any specific situation. Peridot: It enhances your inner beauty and radiance, brings prosperity in all areas of life. Pyrite: It is beneficial for trauma and grief from abuse or loss of a loved one. Rhodonite: It stimulates acceptance, forgiveness and unconditional love towards others. Rhodochrosite: It improves self worth and soothes emotional stress. Rose Quartz: Brings unconditional love, joy and compassion. Rutilated Quartz: Gives a boost of energy to the foundational structure of the physical, mental, emotional and spiritual bodies. Ruby Zoisite: Expands the energy of vitality, growth, zest for life, and abundance. Selenite: It can be used to strengthen the memory. Stilbite: It can be accessed to remove toxins from the body. 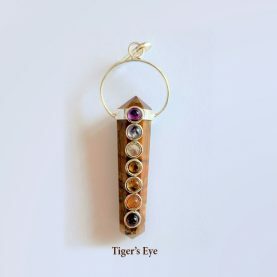 Tiger's Eye: Brings harmony, self-confidence and strength of will. Description: Carnelian: Stimulates mental focus, analytical capabilities, and precision. Clear Quartz: Helps intensify your awakening process. Green Aventurine: Helps to increasing optimism, and calming anxiety and fears. Green Jade: Gives prosperity, self-healing and attracting love. Jasper: Gives courage to face unpleasant tasks and to rectify unjust situations. Labradorite: Strengthens your intuition and inner sight. Lapis Lazuli: Promotes self-awareness, and helps you attune with your intuitive self. Tiger's Eye: Brings harmony, self-confidence and strength of will. Rose Quartz: Brings unconditional love, joy and compassion. Unakite: Provides for a gentle release of those conditions which inhibit one’s growth. Description: Amethyst: Helps to meditate better, and brings tremendous peace and calm. Blue Jasper: Gives courage to face unpleasant tasks and to rectify unjust situations. 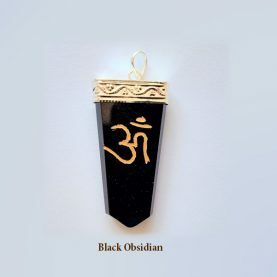 Black Obsidian: Serves as a protective shield, dispels energy that is not in alignment with integrity. Clear Quartz: Helps intensify your awakening process. Amazonite: Soothing to the nerves and dispels both irritating and negative energy. Labradorite: Strengthens your intuition and inner sight. Lapis Lazuli: Promotes self-awareness, and helps you attune with your intuitive self. Rose Quartz: Brings unconditional love, joy and compassion. Tiger's Eye: Brings harmony, self-confidence and strength of will. 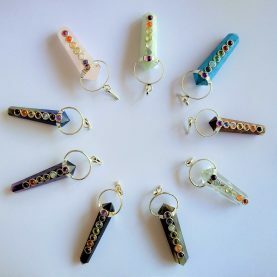 Description Clear Quartz: The Clear Quartz Deva blesses you to intensify your awakening process. Amethyst: The Amethyst Deva blesses you with the ability to meditate, and brings you tremendous peace and calm. Description: Amethyst: Helps to meditate better, and brings tremendous peace and calm. Black Agate: It helps in overcoming fears and brings strength. Black Obsidian: Serves as a protective shield, dispels energy that is not in alignment with integrity. Green Aventurine: Helps to increasing optimism, and calming anxiety and fears. 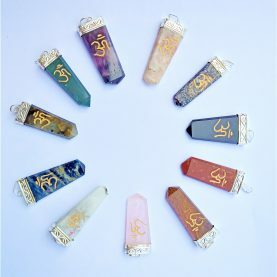 Jasper( Red): Gives courage to face unpleasant tasks and to rectify unjust situations. Labradorite: Strengthens your intuition and inner sight. Lapis Lazuli: Promotes self-awareness, and helps you attune with your intuitive self. Moonstone: Brings new beginnings and good fortune, and balancing your feminine energy. Rose Quartz: Brings unconditional love, joy and compassion. 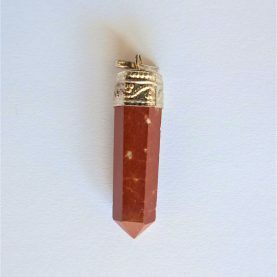 Sunstone: Helps to dissipate fearfulness, alleviate stress, increase vitality and encourages independence. 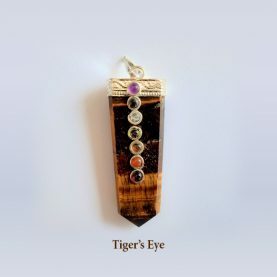 Tiger's Eye: Brings harmony, self-confidence and strength of will. Description: Amethyst: Helps to meditate better, and brings you tremendous peace and calm. Aventurine (Green): Helps to increasing optimism, and calming anxiety and fears. Carnelian (Red/Orange): Stimulates mental focus, analytical capabilities, and precision. 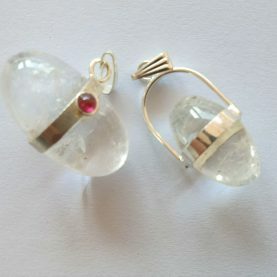 Clear Quartz: Helps to intensify your awakening process. 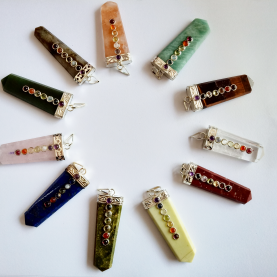 Jasper (Red): Gives the courage to face unpleasant tasks and to rectify unjust situations. Labradorite: Helps to strengthening your intuition and inner sight. Lapis Lazuli: Promotes self-awareness, and helps you attune with your intuitive self. 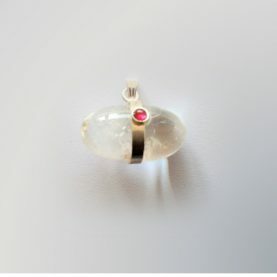 Moonstone: Gives new beginnings and good fortune, and balancing your feminine energy. ObsidiBlackan (Black): Serves as a protective shield, dispels energy that is not in alignment with integrity.